1. 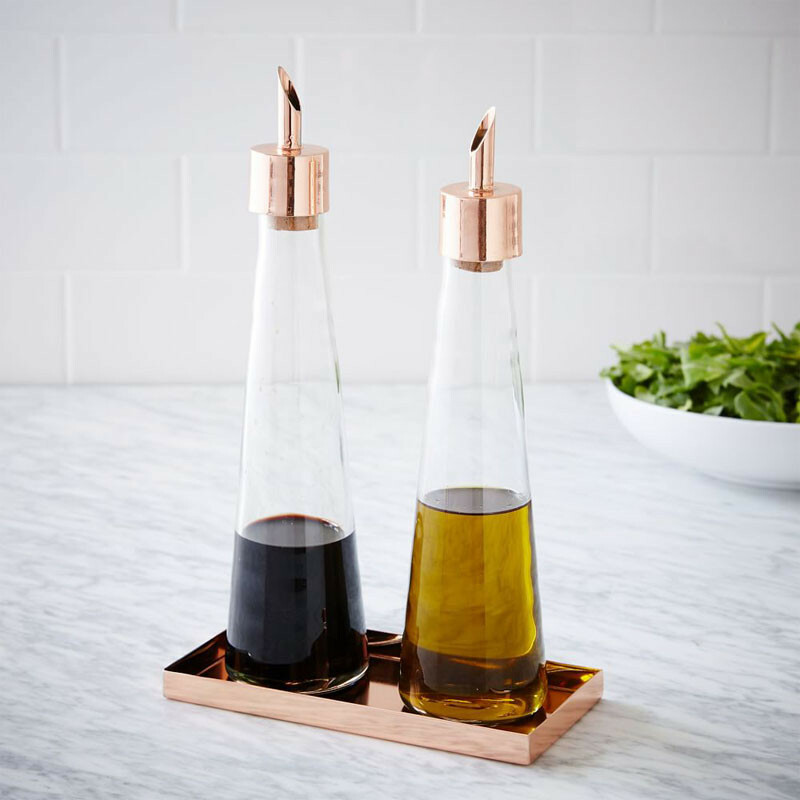 In the kitchen with this copper oil and vinegar set. 2. 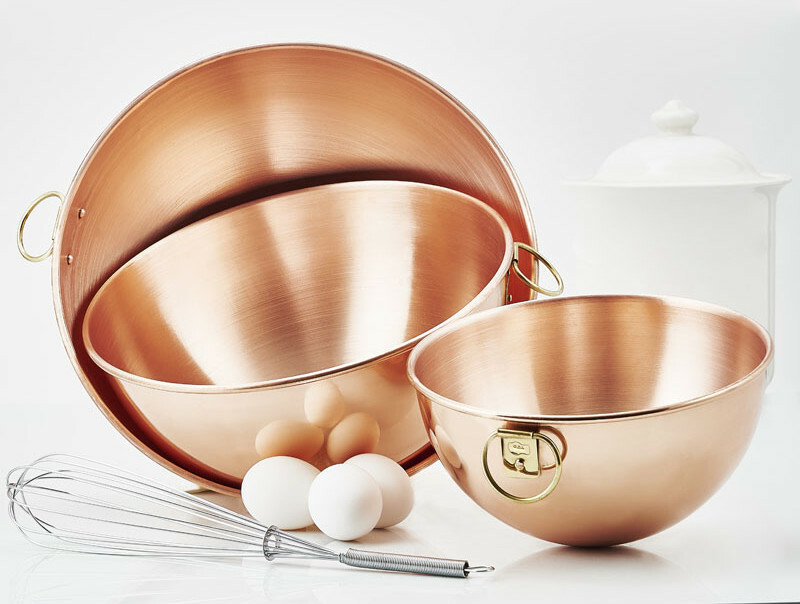 Have some copper mixing bowls on hand for baking. Copper Mixing Bowls by Old Dutch. 3. 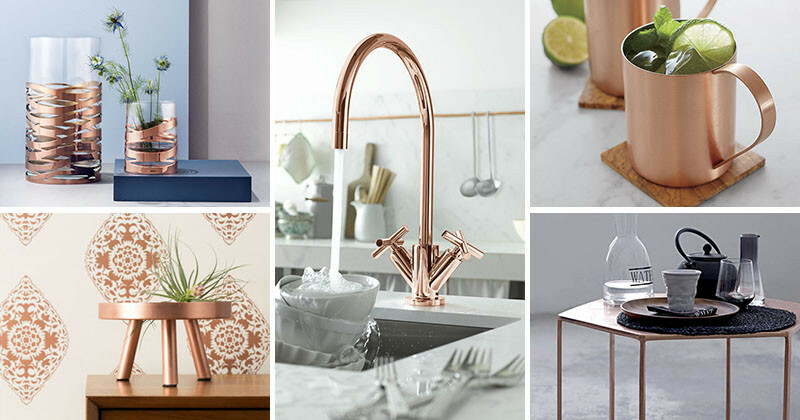 Update your kitchen with a copper faucet. 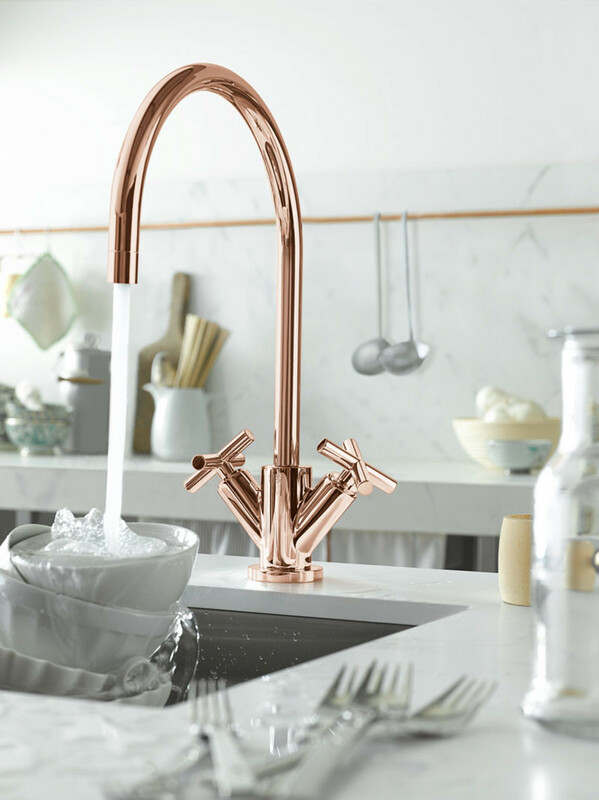 Copper faucet designed by Sieger Design for Dornbracht. Photography by Stephan Abry. 4. 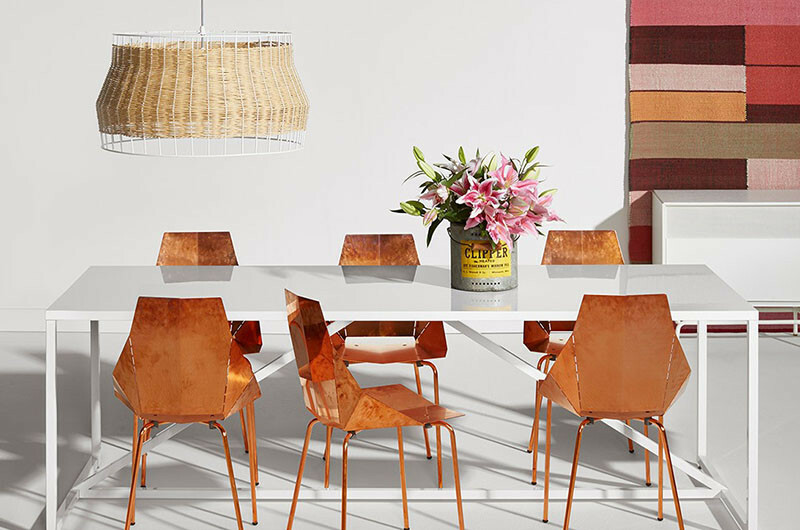 Dress up your dining table with some copper chairs. Real Good Copper Chair by Blu Dot. 5. 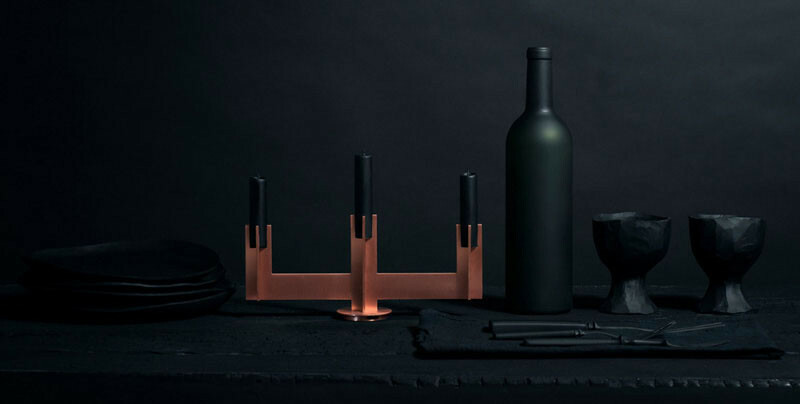 Decorate your mantle or dining table with a copper candelabra. Candle Stick by Larose Guyon. 6. 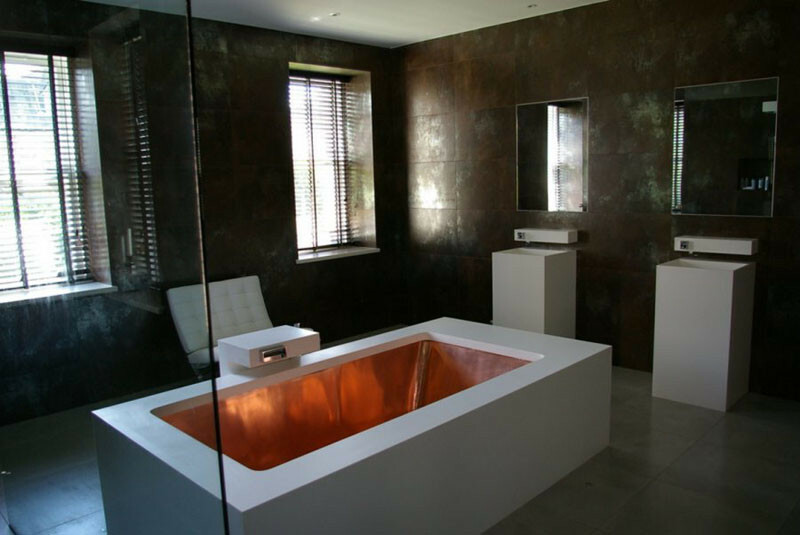 Install a bathtub with a copper lining in your bathroom. Bathtub designed by Sieger Design for Dornbracht. Bathroom designed by Malcolm Duffin Design. 7. 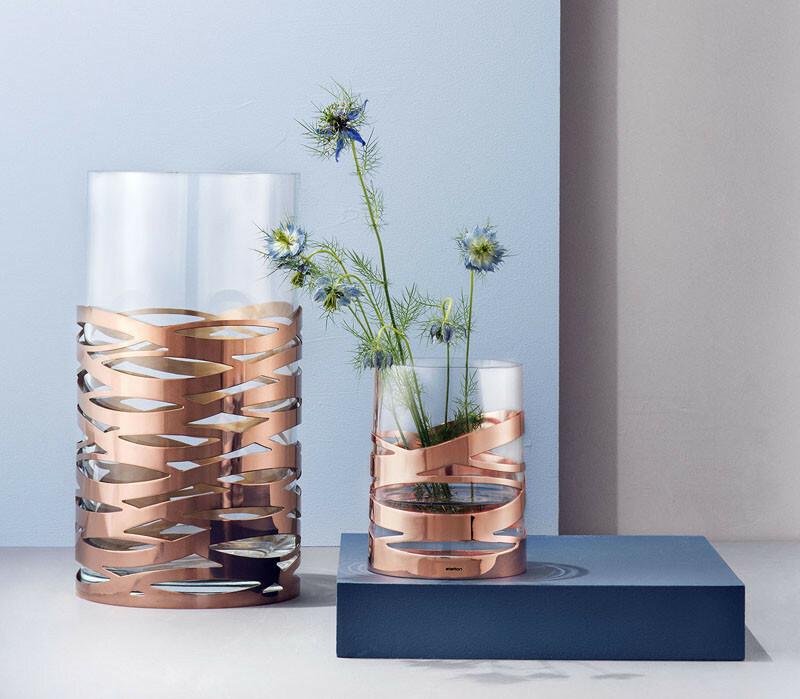 Decorate your sideboard with copper vases. 8. Create a trio of pendant lights in the corner of a room. 9. Add a copper side table next to your sofa. Hexagonal Coffee Table by The Forest & Co.
10. 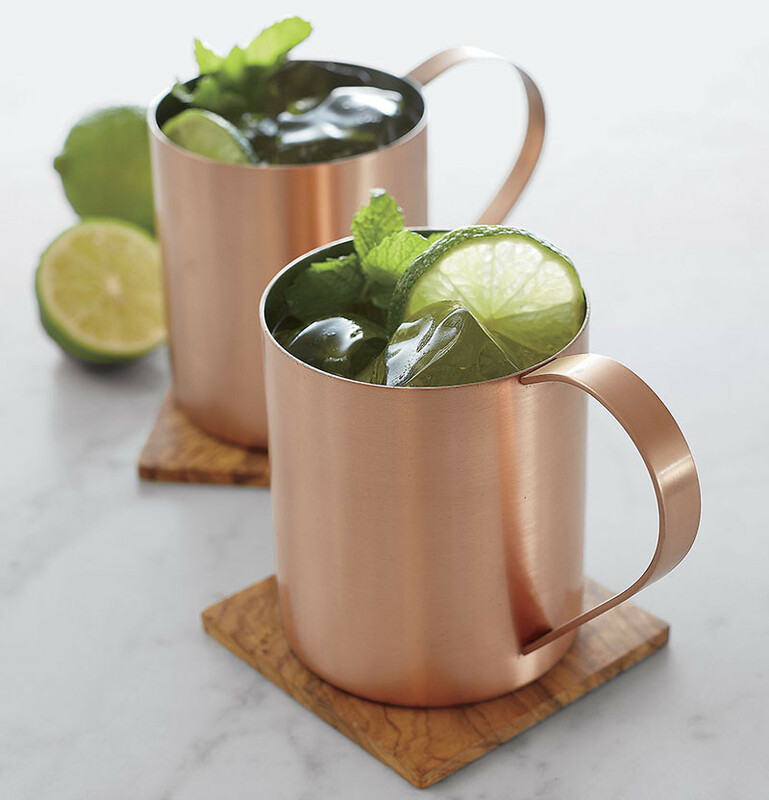 Serve your favorite summer drink in some copper mugs. 11. 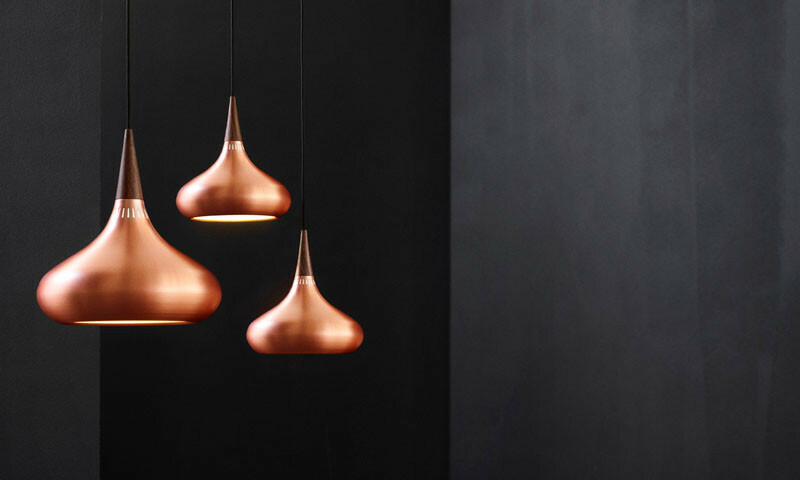 Hang a line of copper pendant lights above your dining table. 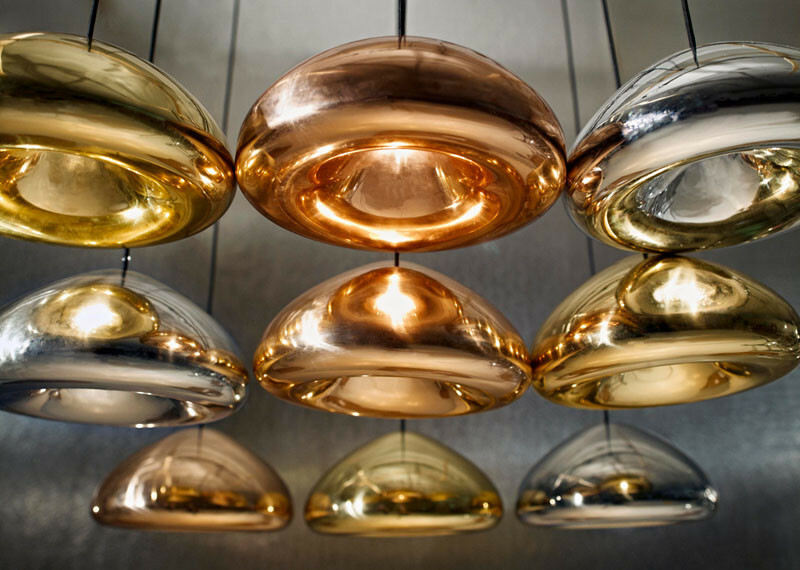 The Void copper pendent light by Tom Dixon. 12. 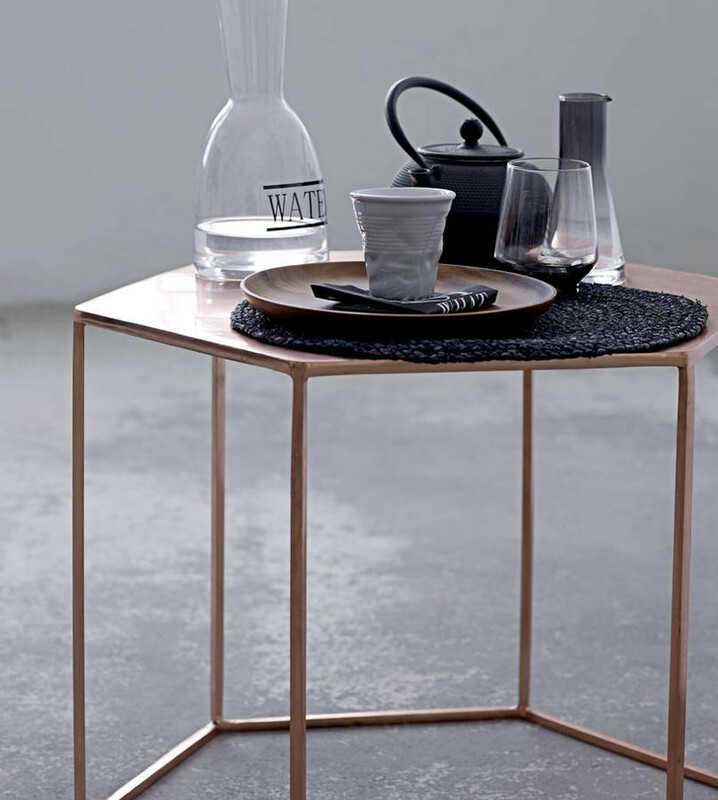 Add a copper table to your bedroom as a bedside table. The Tribu side tables designed by Baldessari e Baldessari. 13. 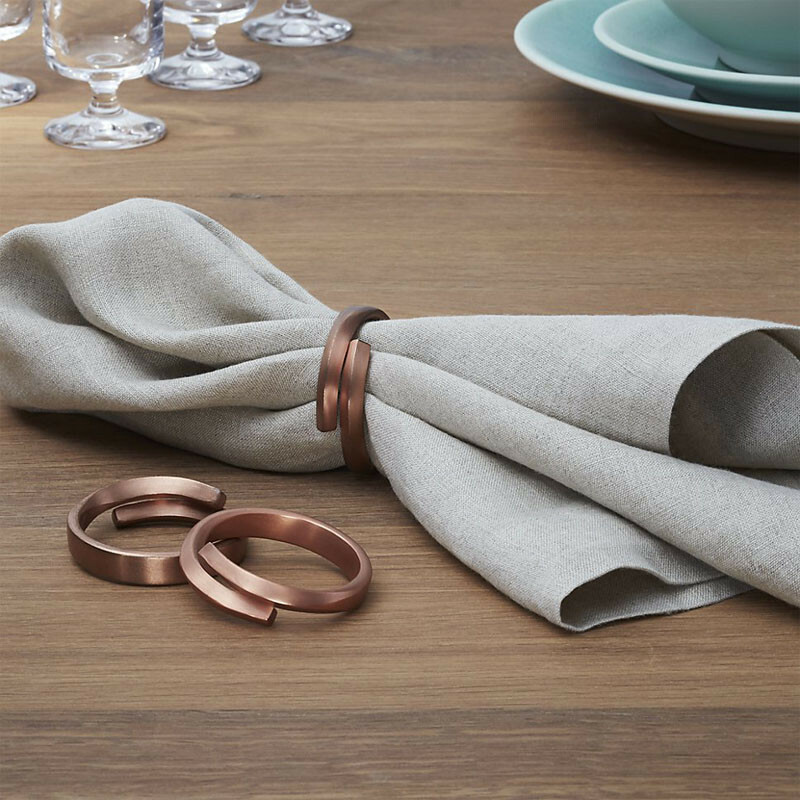 Fancy up your next dinner party with copper napkin rings. 14. 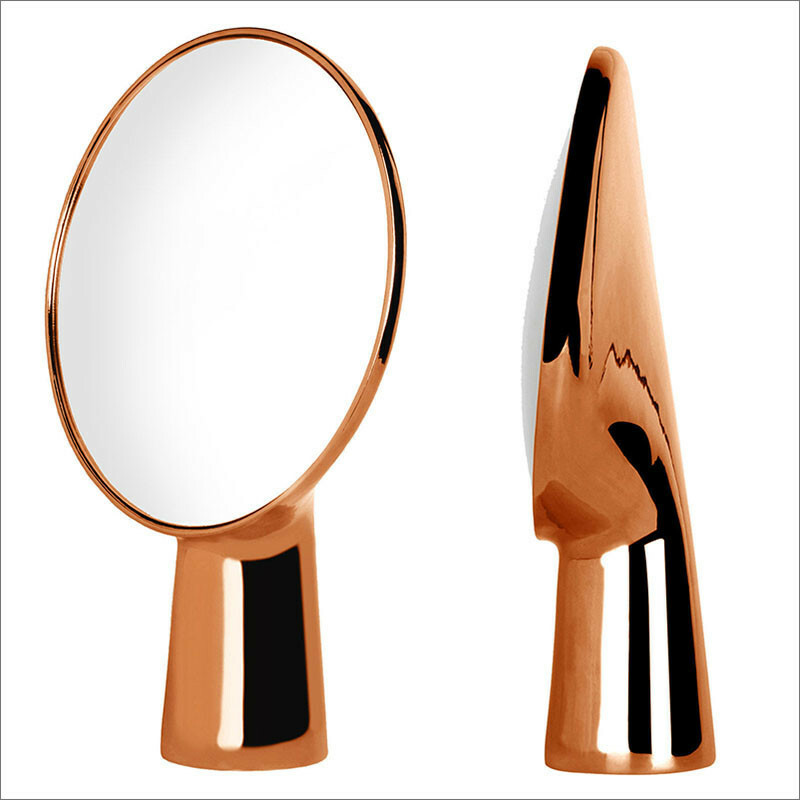 Dress up your makeup desk with a copper mirror. 15. Decorate your table or kitchen counter with a mini-copper table for displaying your fruit or air mist plants.